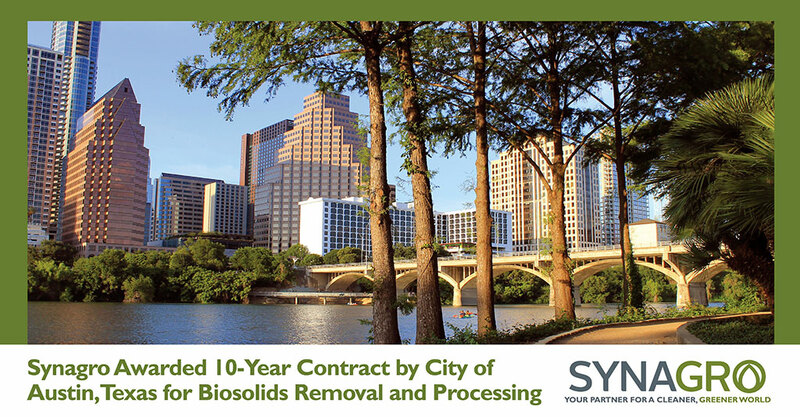 BALTIMORE, Maryland, November 27, 2018 – Synagro, the preeminent provider of biosolids and residuals solutions services in North America, has been awarded an up-to-10-year contract for biosolids composting by the city of Austin, Texas, effective November 1, 2018. In addition to Dillo Dirt compost, Synagro will produce and market All Gro™ compost, its own brand of high-quality finished compost and will invest in expanding the market for compost in the Austin area. The city of Austin will save at least $1.0 million per year by entering this public-private partnership with Synagro. *Dillo Dirt is a trademark of the city of Austin, Texas.